We are inspired to share our love for music as a source of joy and lasting memories. Through our concerts, outreach, and educational programs, we act on our belief that music contributes vitally to the social, cultural, and economic strength of our community. The Newport Symphony Orchestra at the Ocean is the only year-round, professional symphony orchestra on the Oregon coast. Home base for the orchestra is the 328-seat Newport Performing Arts Center, just a few steps away from the gorgeous Oregon seashore in historic Nye Beach. Adam Flatt is the Music Director and Conductor of the NSO. David Ogden Stiers served as our Resident Conductor since its beginnings until his death in 2018. 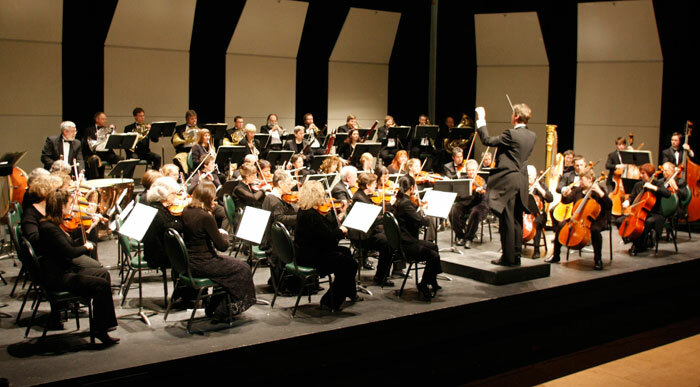 The NSO began in 1989 as the Yaquina Chamber Orchestra, later shortened to the Yaquina Orchestra. The name Newport Symphony Orchestra was adopted in 2004. The NSO performs a popular series of concerts at the Newport Performing Arts Center during its September through May regular season, and special events in the summer months including its hugely popular annual free community concert on July 4.